-- Select a Size -- 6" Heart 8" Heart - Out of Stock! 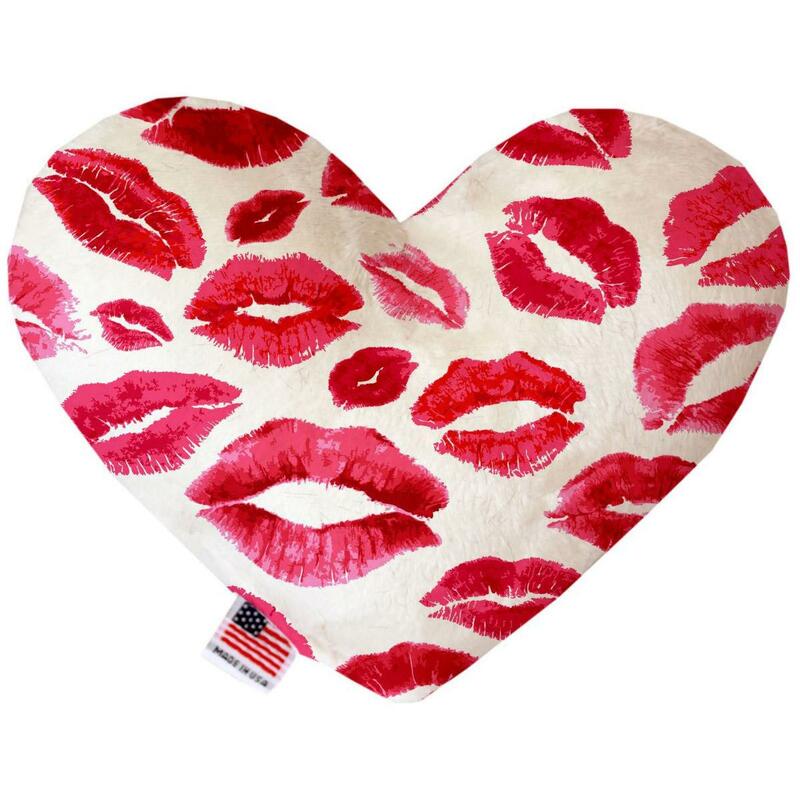 Show your pup some love with the Mirage plush Heart Dog Toy in the Smooches pattern! Give your pup a heartfelt gift with our Heart Dog Toys by Mirage. Your dog will love the fun patterns with a velvety texture. The plush heart is easy for your pet to carry and includes two squeakers for twice the fun! This fun plush dog toy is ideal for fetching, tossing, and cuddling with. Proudly made in the USA! Posted On 02/19/19 by Darraline S from Aiken, SC Yes, Darraline S recommends this product! Love the toy, very cute! Posted On 02/19/19 by Darraline from Aiken , SC Yes, Darraline recommends this product!